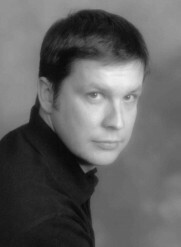 Simon Wood's Web Hideout » Blog » THE ONE THAT GOT AWAY Hits Another Milestone! THE ONE THAT GOT AWAY Hits Another Milestone! THE ONE THAT GOT AWAY crossed another milestone a little while ago. It has now sold over 250,000 copies. 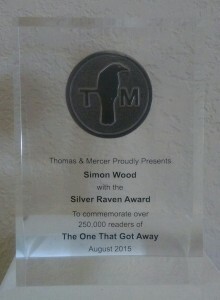 My publisher likes to commerate these things so here’s the Raven award they sent me. Thanks to everyone who bought a copy. I continue to be in your debt.